The Baseball Writers Association of America voted in 4 new inductees to the Baseball Hall of Fame including its very first unanimous selection. Newly elected Hall of Famer Mariano Rivera was the last player ever allowed to wear number 42. 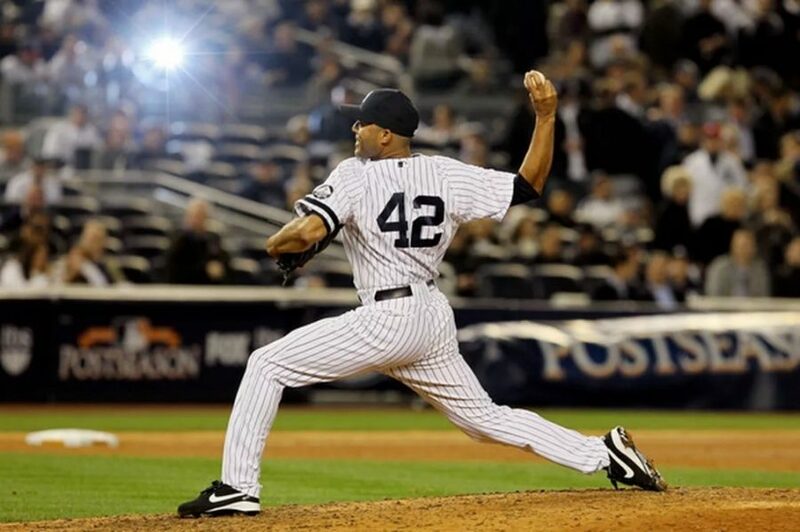 Legendary Yankees closer Mariano Rivera became the first player to receive all 425 votes with his first time on the ballot, and Cooperstown will see four new members inducted when July comes. Another first ballot Hall of Fame inductee is the late Roy Halladay, who spent his big league career with the Toronto Blue Jays and Philadelphia Phillies. He leaves behind a remarkable career in which he won two Cy Young Awards as well as becoming just the second pitcher in modern baseball to throw a no-hitter in the postseason. Unlike Halladay and Rivera, Edgar Martinez made it in on his 9th year on the ballot. When he was first eligible in 2010, he received only 36.2% of the vote, even getting only 25.2% in 2014, far from the needed 75% to be inducted. Martinez, although it took him longer than the others, is just as deserving as he is one of ten players in Major League history to have 300 or more homers, 500 or more doubles, 1,000+ walks, an average over .300, and an on-base percentage over 400. Martinez is a great figure in Seattle Mariners history and just the 3rd player to be inducted in as a designated hitter (DH). Last but no least is pitcher Mike Mussina who spent his career between the Baltimore Orioles and the New York Yankees. This was his sixth year on the ballot, and he received 76.7% of the vote, just managing to sneak his way in. Always a consistent pitcher, as he managed to finish top five in six Cy Young votings although he never managed to get one. Overall, this is one of my favorite classes in recent years, and it is worth noting that Barry Bonds and Roger Clemens still fell short with 59.1% and 59.5% respectfully as their time on the ballot is coming to an end and the odds of them making it have gotten slimmer and slimmer.